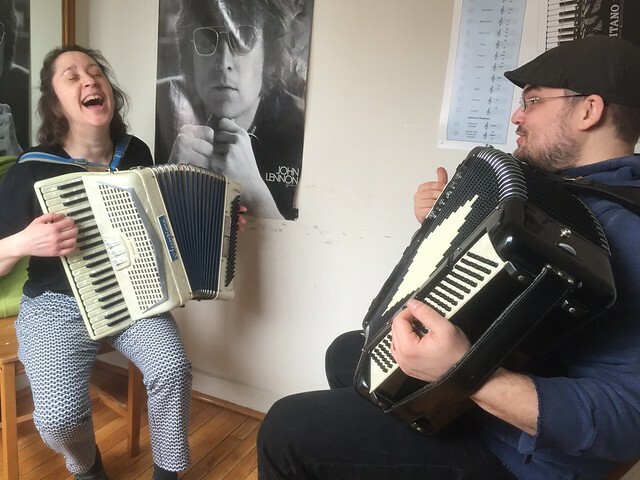 Dustin Beck gives your correspondent's wife her first accordion lesson at the Liberty Bellows Accordion Shop in South Philadelphia. We used a Groupon coupon. Watch video here.